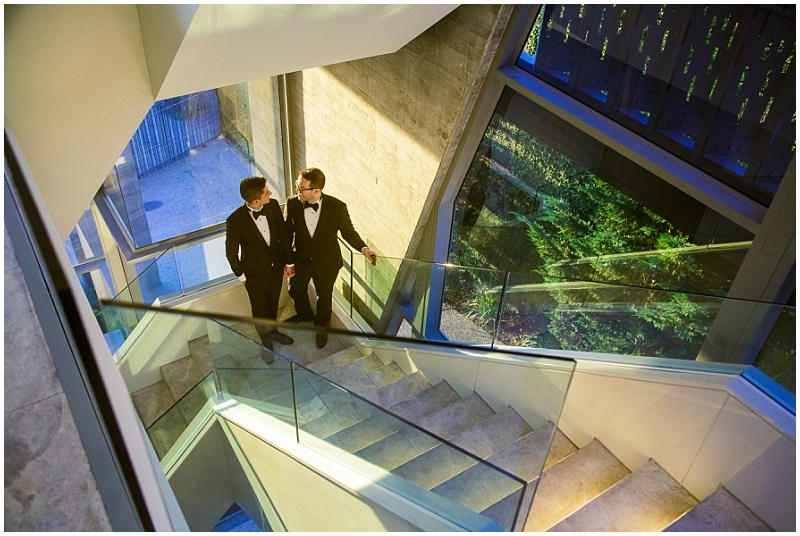 Fabricio’s fun-loving zest for life, and Aaron’s level-headed practically are the different, but perfectly complementary, personalities that bought this Canadian-Brazilian couple together. 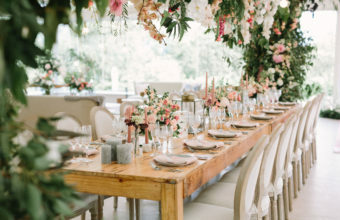 After deciding to celebrate their union with an intimate, modern wedding in South Africa, our Wedding Concepts team were tasked with designing the stylish experience to reflect the compatibility of their individual characteristics. 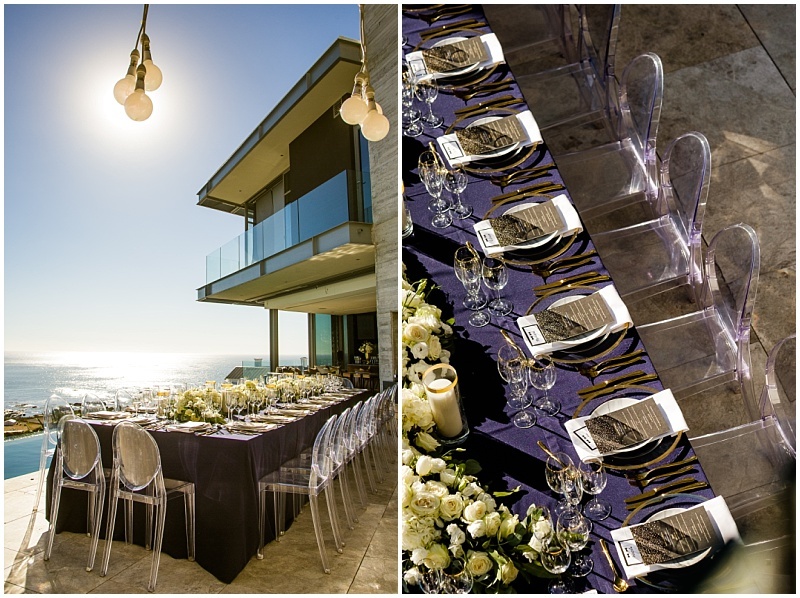 The wedding celebration took place on the outside deck of the picturesque Villa Luxx in Camps Bay, an architectural master-piece offering panoramic views over the Atlantic Ocean. 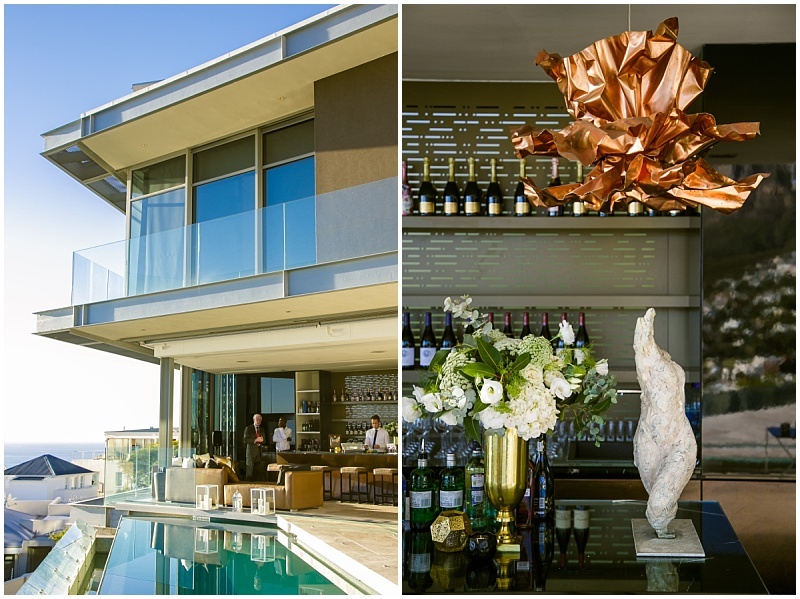 The layout of the space provided a welcome task to the team, whereby using customized elements they differentiated the various areas of the celebration, each with a focus on the magnificent views on offer. 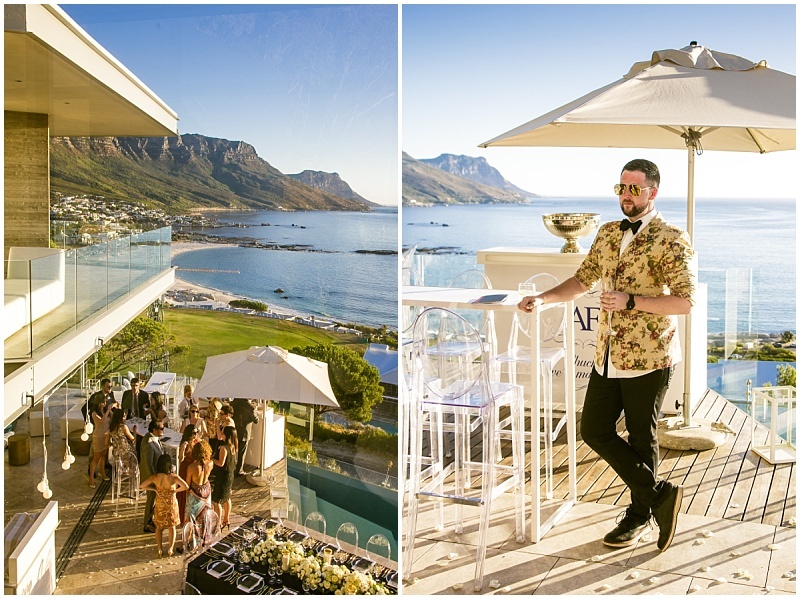 The floral ceremony arch perfectly framed the couple along with a backdrop of the Twelve Apostles Mountains, and then after moving onto the outer terrace, the personalized bar denoted the pre-drinks space and again took advantage of the uninterrupted panoramic views. 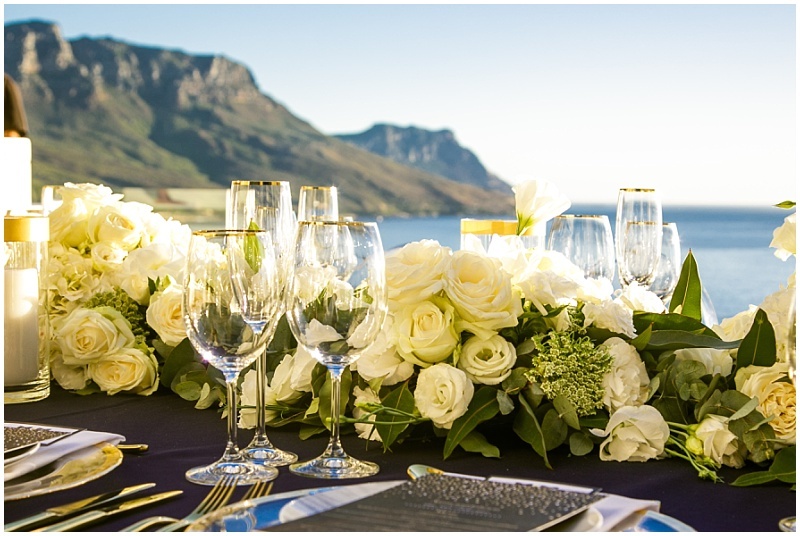 The final transition to the elongated reception table, culminated the guests’ viewing experience with the rose-coloured sunset over the Atlantic Ocean. 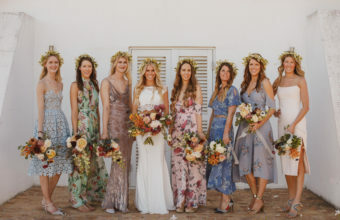 The couple’s vision was to seamlessly draw modern parallels between their wedding decor and their venue. 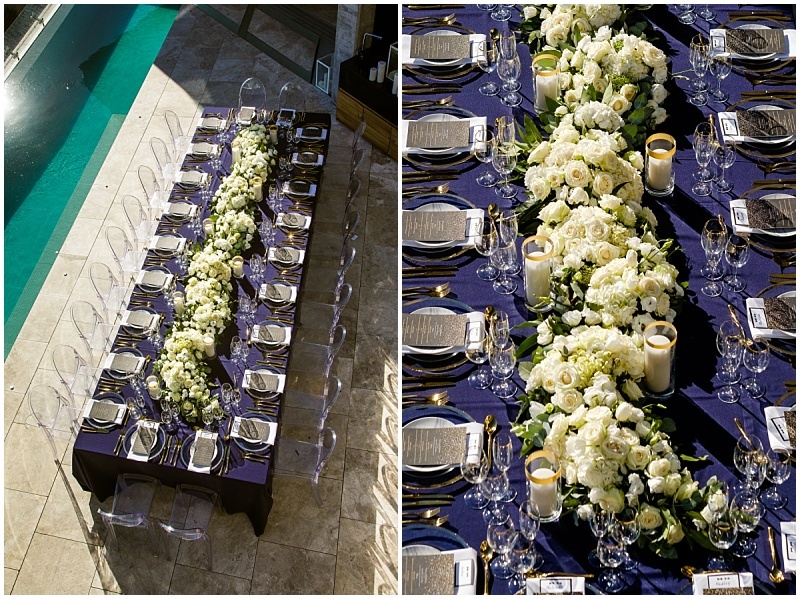 Our design team conceptualized a contemporary concept with a chic midnight blue, white and gold colour palette to complement the bold architectural design of the venue. 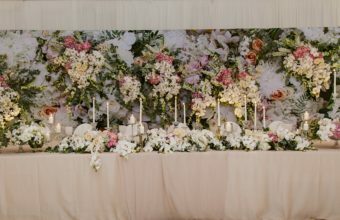 This mood reflected a balance between femininity, in the form of the soft white flowers in a lush floral band down the center of the table, and masculinity, revealed through the distinct colour palette as well as the structural, contemporary table accessories. 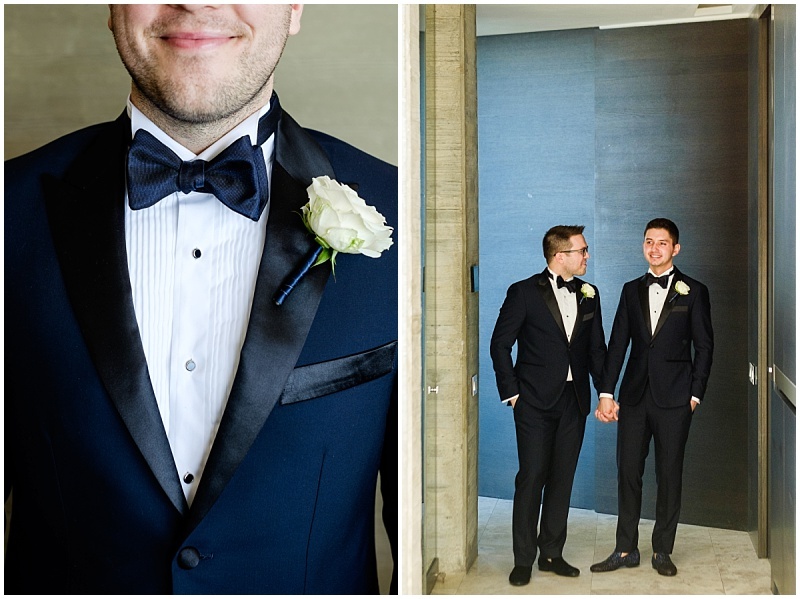 As a well-traveled international couple, the two foodies customized their wedding menu with Gustaaf from STIR catering to suit their ultimate desires for the day. 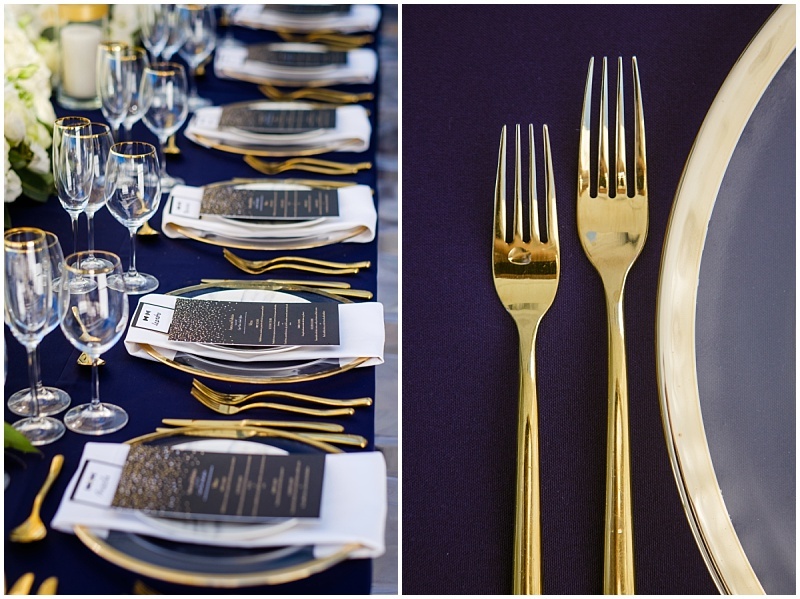 Our team were able to hand-pick designer crockery that complemented each dish – a different style of plate for each course! It was also important that the couple’s Great Dane, Zeus, was incorporated into their wedding day. The personalized beers, with flavor combinations hand-picked by the stylish couple, were adorned with custom-made labels featuring their beloved statuesque hound. 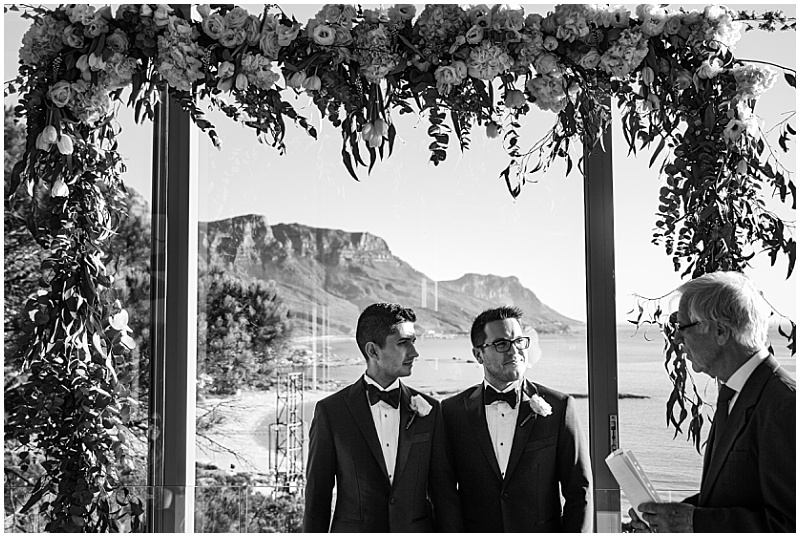 Aaron studied classical music, thus the Hungarian trio who played throughout ceremony and the pre-drinks were an indispensable element to the romantic soiree. The whole evening was in essence an extended family dinner experience where all the guests mingled and each had a chance with the microphone to give their best wishes to the happy couple. 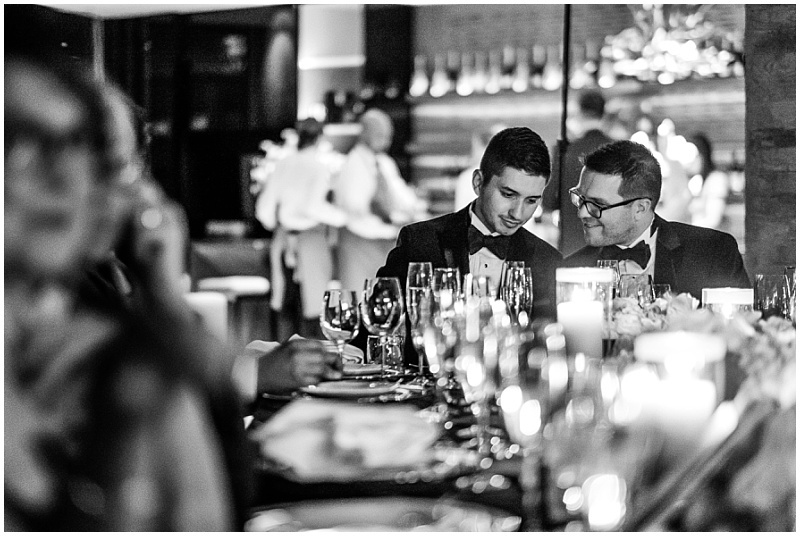 For Aaron and Fabricio, our wedding team took pride in bringing our discerning attention to detail to each and every single element of the modern wedding, including the overall guest experience – something that the Wedding Concepts team have become renowned for regardless of the scale or size of the celebration. 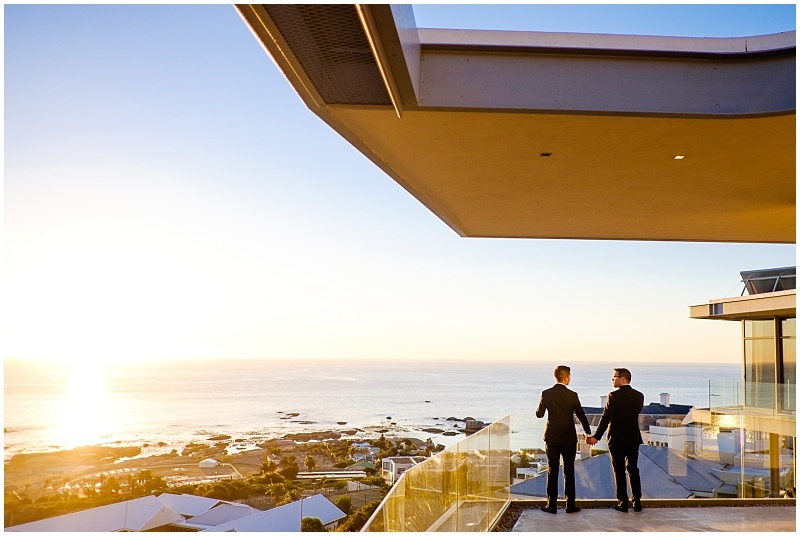 If you are interested in planning your gay destination wedding to Cape Town, or anywhere in South Africa, get in touch here.